This process mechanisms that are part of the supports on the rotating axles and shafts. They take up radial and axial loads applied to the shaft or axle, and give them to the frame, housing or other parts of the structure. And they are required to hold the shaft in the space, ensuring its rotation, swing or linear displacement with minimal energy consumption. 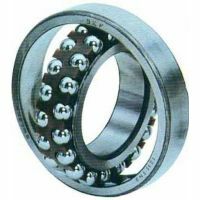 Depending on the quality of the bearing in a large extent on the efficiency, durability and operability of various machines.